Hello Las Vegas dental blog visitors. I am Dr. Touraj Habashi of Summer Dental – Kids|Adults|Braces. When a tooth’s nerve and pulp becomes infected, a dentist and patient must make a choice of whether to attempt to save the tooth by performing a root canal or to extract the tooth. A root canal is generally the most conservative treatment when a root is infected or a tooth has severe decay or damage. Root canals have been performed with success for generations and have a very low failure rate. Because there is always a slight risk that a root canal can fail and eventually require extraction, some Las Vegas patients wonder if they should just get a dental implant in the first place. This is not a black and white decision. Like root canals, dental implants have a high success rate. But there are risks with dental implants, as well. If you have been told that a root canal or a dental implant is necessary, talk with your dentist about the pros and cons of each procedure. 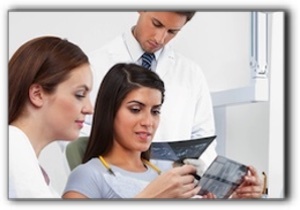 If you do not currently have a dentist, I invite you to schedule a consultation at Summer Dental – Kids|Adults|Braces. You can trust in Touraj Habashi for critical, unbiased information so you can make an informed decision about your dental treatment.